I’m finally letting my hair down a bit in public… with a headband! They’re not fabulous yet, but not too bad, ay? I need some cool headbands like these! So what should be 6 months of progress is really more like 3 because I left my yarn extensions in for about 3 months. They have noticeably gotten longer, but I don’t think they’re any thicker. I really really hope they aren’t done thickening. I want them to look like a lion’s mane just like Gal April. I have two cowlicks on the back of my head that have been driving me crazy because they always look like scalpy spots. They make it look like my dreads aren’t filling my head enough. 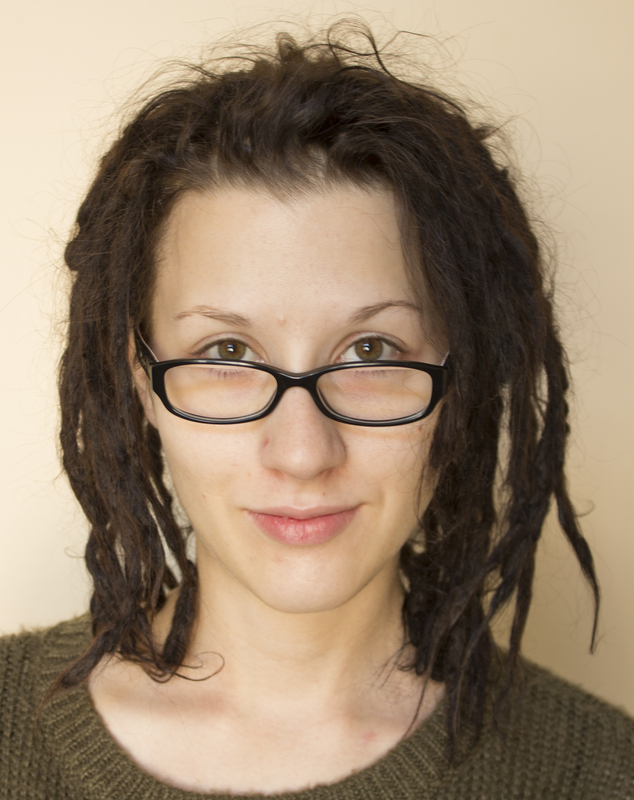 I’ve tried combining dreads to cover it up, but it only makes other areas worse. For some reason I don’t have nearly as much loose hair on the top of my head as I do underneath. I’m not sure if there’s anything I can do about that. Ideas? I’ve also come up with this theory for thickening dreadlocks. I noticed that most people get thickening for a year or two then just lengthening, but Gal April got about 5 years of thickening, which is what makes hers look so great. She hasn’t told me yet if she has a method for this, so I’m just coming up with ideas. You know how when your hair is wet, you put it in a pony tail, let it dry, take it out, and your hair is in pony tail shape all day? 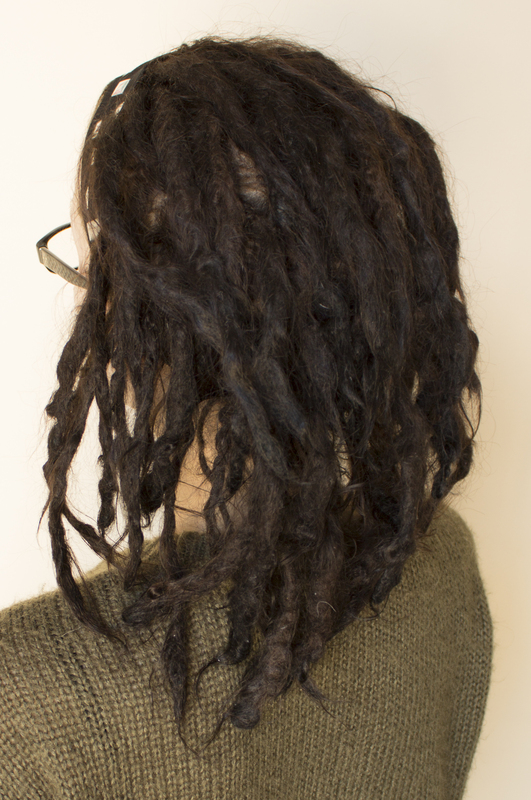 I hypothesize that going to bed with wet dreadlocks and sleeping on them will encourage loops which cause thickening. I don’t know if it will work, but I’m trying it anyway. It can’t hurt, right? I read somewhere that baking soda and vinegar solutions help eliminate blackheads. Since I’m already using baking soda and vinegar solutions to wash my hair, I’ve replaced my face wash and I have noticed less acne. Pretty cool! I’ve updated my Charlie images, but I just can’t find Olan anymore. There are too many dreads in that area that look the same. thanks for sharing! Your dreads look great! I have really thin hair and have been wondering what my outcomes might be like. I just started my dread babies a few days ago (I have to do a small section at a time because my two year old is in a needy phase :p ha) I’m so excited to have even the handful that I’ve started and uuber happy I found your journey! Good luck with the thickening! I hope you find your solution! Thank you! Good luck with your journey as well! I’d love to see a timeline if you make one. I have the exact same thing with my hair! The back and sides have plenty o dreads, but the top only has a few and it feels like they’re so little. Well hopefully it will all fill in. 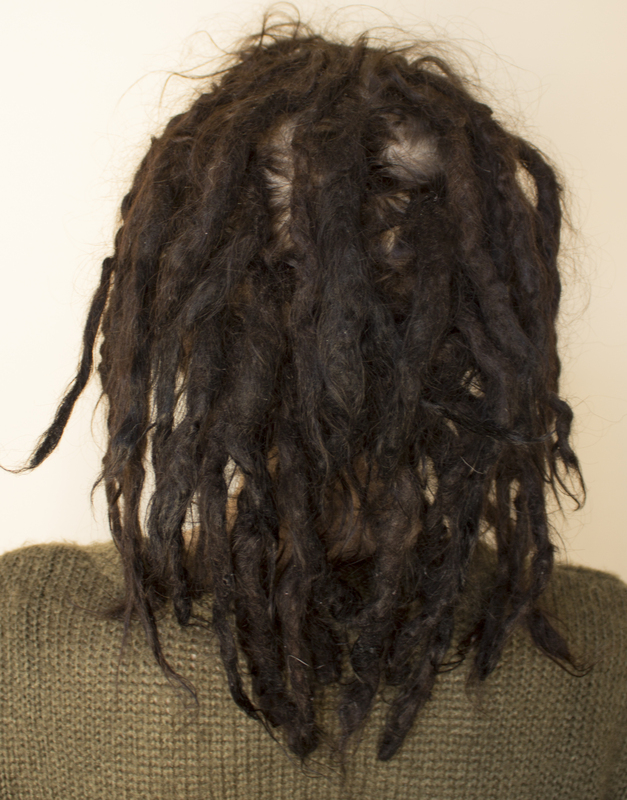 How old are your dreads? Where did you come across that dread headband? It’s totally funky and I can’t find that one on Google search. They’re sold at https://www.etsy.com/shop/IntergalacticApparel I actually bought one and I love it! OMG!! Please please PLEASE do NOT go to bed with wet dreadlocks!! The only thing that will encourage is dreadrot/mold!! !